DuWayne and I have been corresponding for a couple of years, sharing mutual interests. I was pleased to be able to give his work a shout in both the printed and ‘spoken’ version of my talk at this year’s Four Days in May event in Dayton and – more importantly – to catch up with the man in person for a quick eyeball QSO. I also got a PCB for SNA Jr, which has been sitting on the bench for months – until last week. DuWayne’s baby uses an AD9850 in one of our familiar modules to generate RF, under the control of an Arduino NANO. 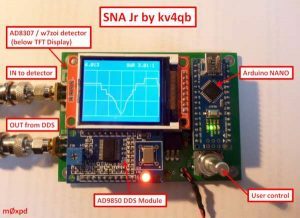 You can read on DuWayne’s blog how the SNA Jr is the descendant of earlier experiments in which an Si5351 was used as the signal source. The detector is supposed to be enclosed in a screening can, which I haven’t made yet – so final performance will be better than I’m going to show you below. 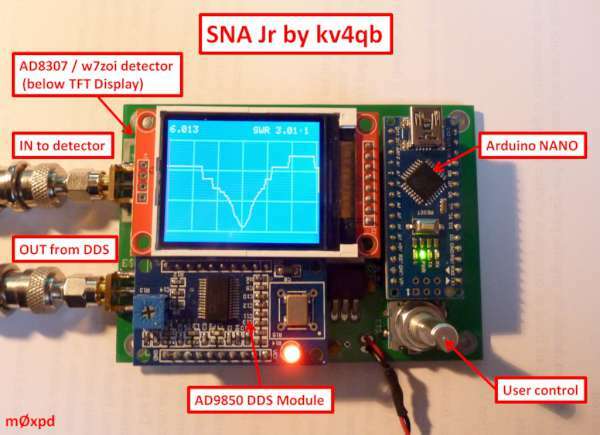 The DDS RF source and measurement of the RF level returned from the device under test are all under the control of the little Arduino NANO, which runs a sketch provided by DuWayne. This sketch compiled for me under Arduino 1.6.12. The user interface is provided through just a rotary encoder and the 1.8 inch TFT screen. 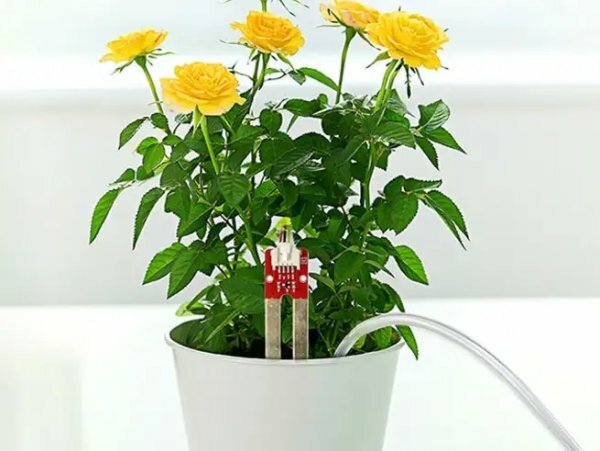 I found I had everything needed to build SNA Jr in the ‘junk box’ – except the screen and a spare NANO, so these were quickly ordered through usual suppliers. The result, as you see above, was simple to put together and works very well. DuWayne’s software offers a number of options, including a ‘signal generator’ mode, in which the output of the DDS module is set at a single frequency, whilst the returned RF amplitude is displayed numerically and on a bar display (useful when the numerical display is flicking between two values). This mode is illustrated in the graphic below, which shows the system driving a simple switched attenuator, seen in the graphic, with and without 20dB of attenuation switched in (two 10 dB stages).